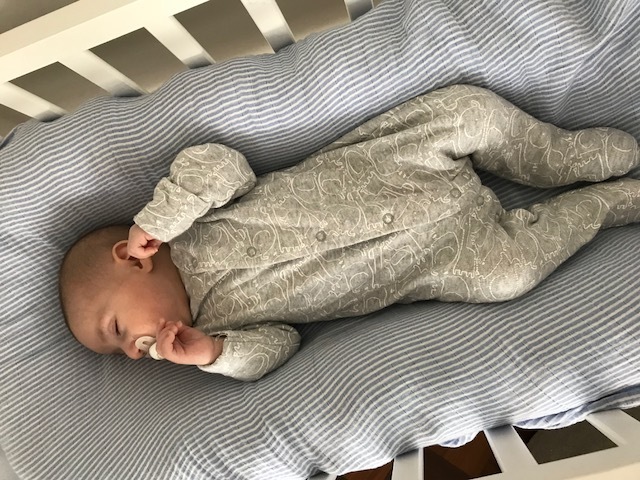 We all know the basics when it comes to having a baby – babygrows, bottles, bibs blah blah but there are some larger pieces of equipment that we couldn’t have made it through the last five months without. Most of these we used for both babies 1 and 2, but some of them are fancy new pieces of equipment that we wish had been around first time around as well. 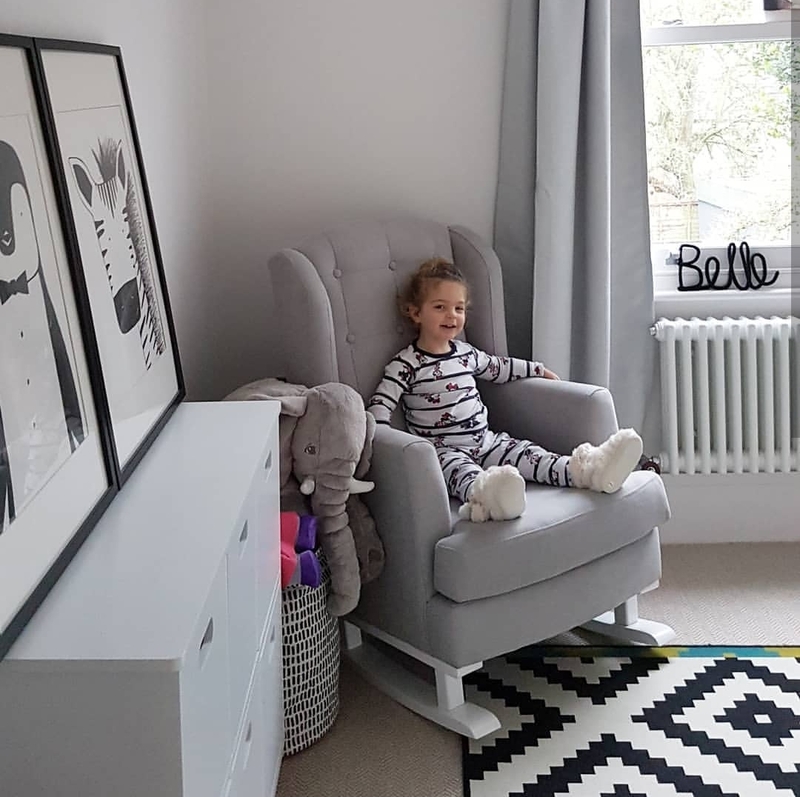 It’s such a minefield knowing what to buy when you have a baby but when it comes to anything on this list, we promise that it won’t be a waste of money. 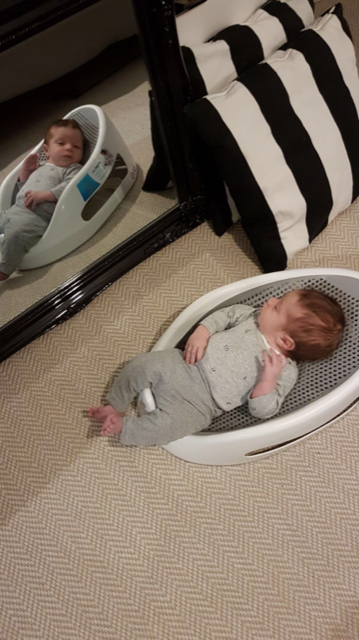 Last time we both had moses baskets. They were completely useless. Leo hated his (i don’t blame him, it didn’t look that comfy) and barely slept, it was a pain lifting him in and out of and I couldn’t see him over the top of it when I was laying in bed. Thank god we both discovered the Snuz Pod this time around. It’s a chic, wooden mini crib that lies next to your own at the same height. One of the sides unzips so you and your babe can literally lie next to each other. Great for night feeds and for post c-sections. It’s large enough that the babe could comfortably stay there for six month if that’s your thing. Oh, and a sleepyhead fits into it with the flap down. An essential. Neither of us had these first time around and this time around, Sam couldn’t have survived without it. It’s like a comfy, snug little pillow nest that keeps them cocooned and feeling safe. Alfie slept deeply in this from the word go and she’s convinced it helped him get used to long, content sleeps (Leo as a baby was not a sleeper whereas Alfie has slept through from six weeks) Gemma was a fan while Ace was tiny but him tuning out to be a tummy sleeper meant that it wasn’t right for him (It’s now in storage ready to pass on to siblings/friends when the time is right.) 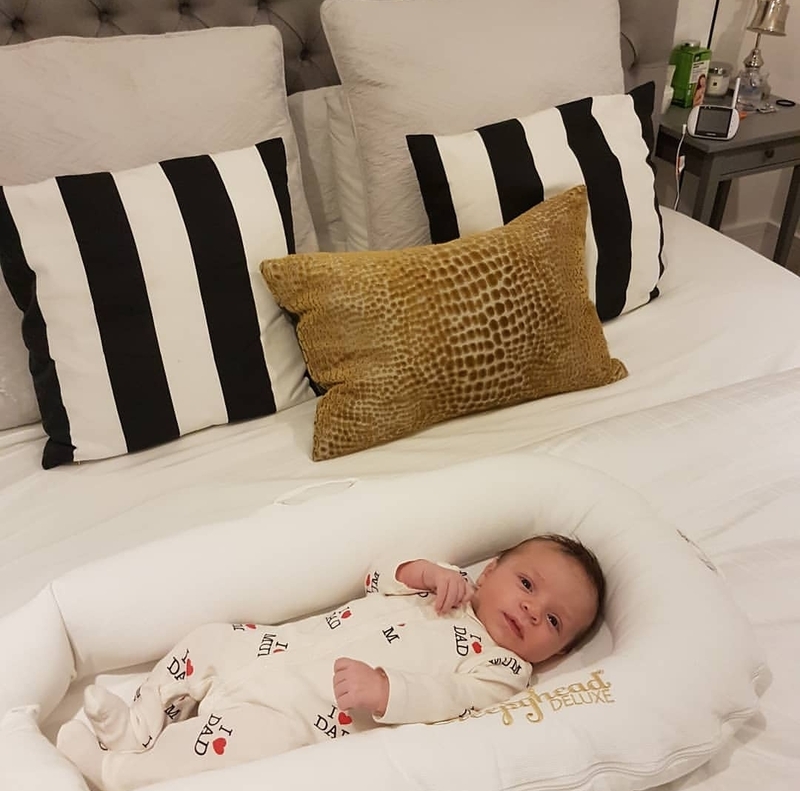 All babies are different so it’s hard to say yours will love it but it really is a great investment as far as we’re concerned. We both swore by this first time around and this time, it’s had a fancy new update. It’s less loud that the original when it comes to hitting the buttons, has a fancy screen that lights up telling you what to do at every step (great during night feeds) and the water tank lights up too (also great during the middle of the night) All in all, this is a total god send for bottle feeders. The hot shot kills any bacteria in the powder as the second spurt of cool water means it comes out at the perfect temperature. 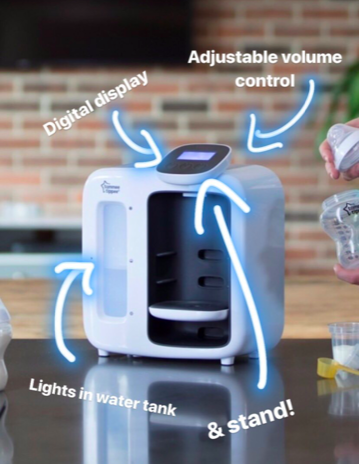 Like a nespresso machine for babies, it means you only need to make up one bottle at a time, whenever you need it as it rather than boiling and cooling bottles the night before. Sam had this for Leo and when we were doing our Mothercare trolley dash, she made Gemma put it in her trolley. 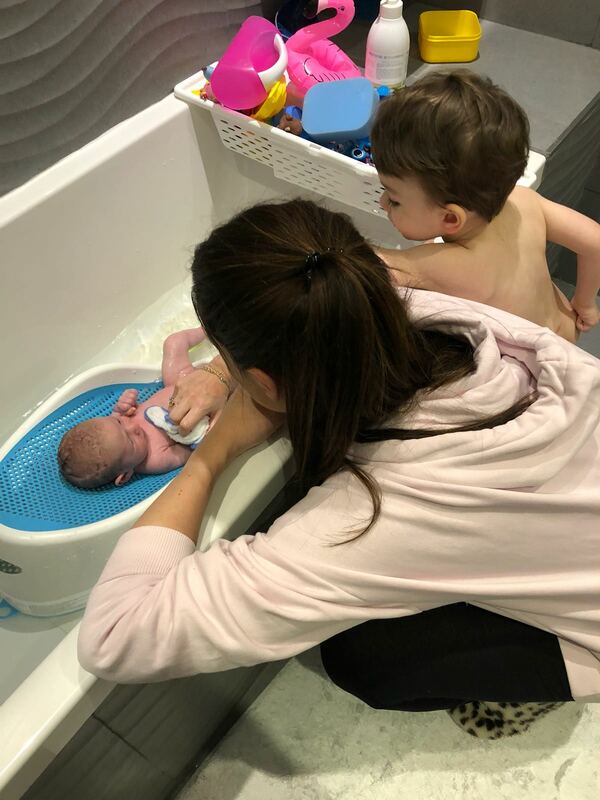 It just makes bathing the babies so easy – it’s so comfy for them, non-slip, then can kick about in the water without you killing your back each time and it means bathing a baby alone is a piece of cake. It has been a total god send with these second babies for one particular reason. 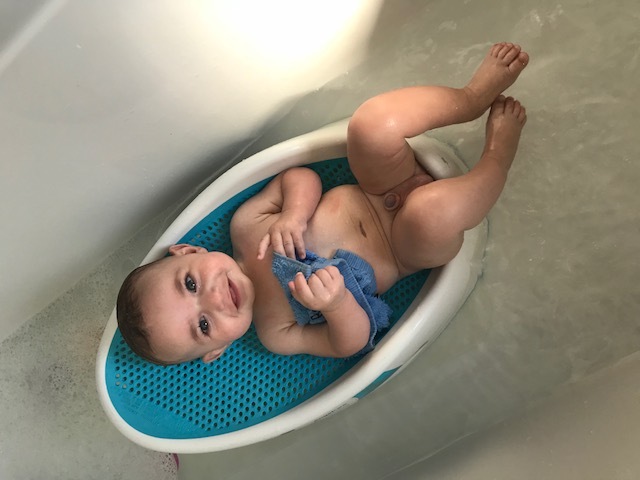 After we’ve taken the babies out of the bath and dried and dressed them, they sit happily in the Angelcare until the toddlers have come out of the bath. We’ve used it from birth and they still fit in them now at 5.5 months. 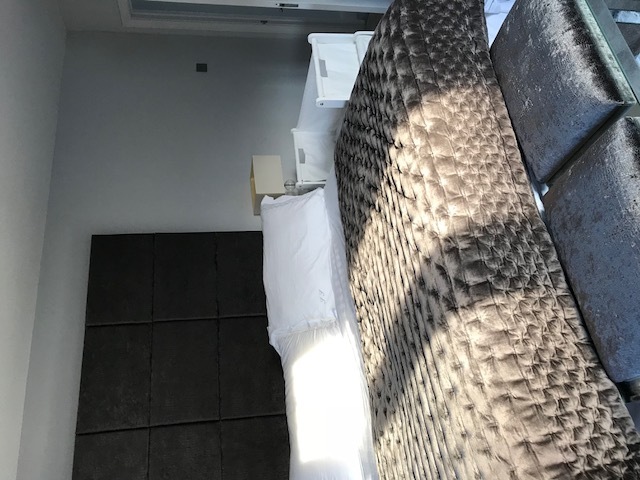 A little on the pricier side but it’s one of those things that we think are totally worth it, (and the only non-Ikea item in both our houses!!) The comfiest, loveliest rocking chair. An investment piece (or when friends/family ask what you would like for a baby gift then you could suggest they all pitch in together for this. )It was intended for Ace’s bedroom but I spend more time in Belle’s room as she plays while Gemma feeds Ace so it ended up there. 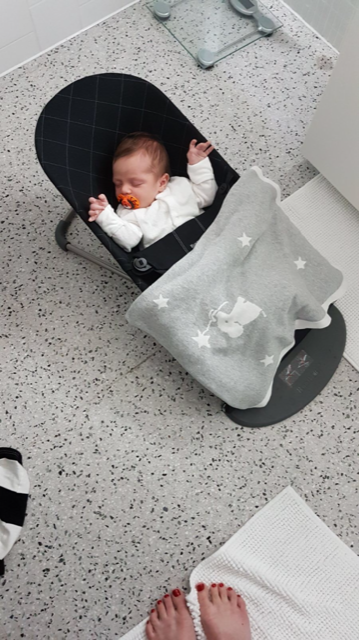 Alfie has one in his room and it’s where Sam spends most of her time scrolling on Insta whilst rocking/shooshing Alfie to sleep. It’ll last for years and will become the place we read bedtime stories to both our kids. We love these so much we both have two. We keep one upstairs and one downstairs. Excessive? Maybe. But we would have died without them, especially in the first three months. No joke, we’d have never been able to shower/dress/put on makeup/read the toddlers stories/bath the toddlers/give them their dinner/do anything that involved our hands. Invest in the added wooden toy barto keep your babe amused for longer. Great for travel too, just fold it flat and pop in your suitcase. When your babe hits five months, it finds it feet and it literally wants to jump. All the time. When you’ve had enough of it bouncing up and down on your knees and you need to get on with life admin/bottle sterilising/puree making/washing folding – buy this. Your baby will love it. Last time around we both had Jumparoos. 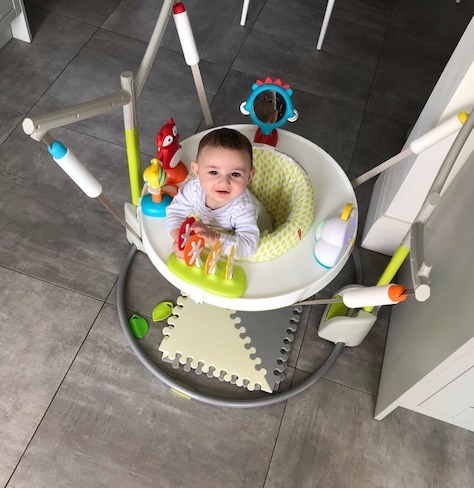 A loud, large piece of primary coloured flashing plastic encircling our babes as they jump up and down and look at the flashing lights (a baby rave in your very own kitchen). 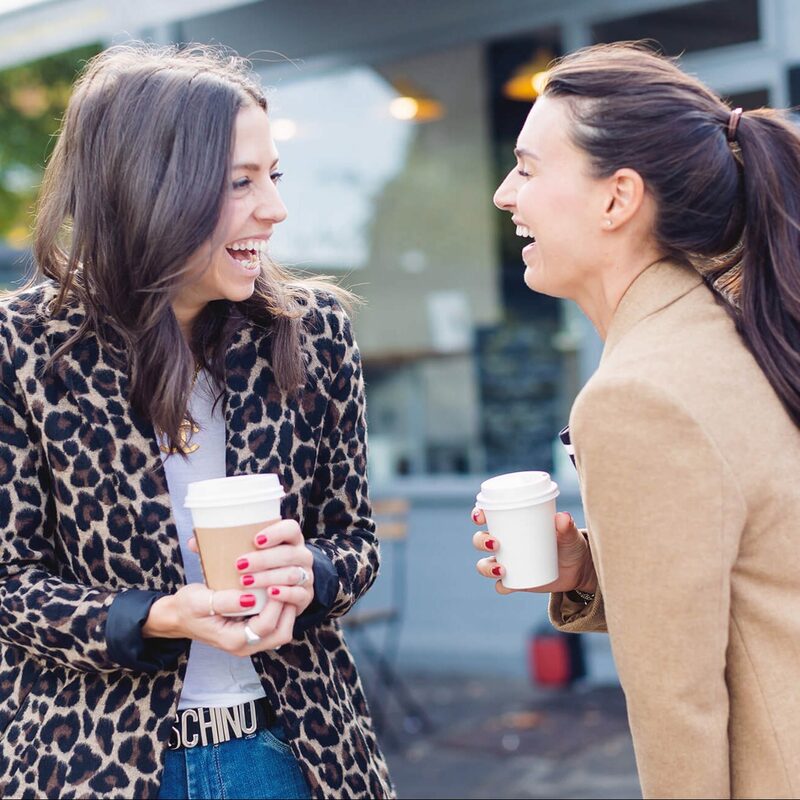 This time around we researched for weeks and we foudn this – the nicest looking, most minimal version of the ‘circle of neglect’ on the market. Every mum who’s walked into our kitchens since we put them up has commented on how good it looks compared to the Fisher Price version. Oh, and it folds down and slides under your sofa. Thank us later. Gemma is a pro sling wearer but Sam had never got on with them, despite trying many, until we discovered this one. It’s so easy to put on, it super comfy jersey material and the babies seem so comfy in them. Not just that, it’s super comfy to wear for us too. 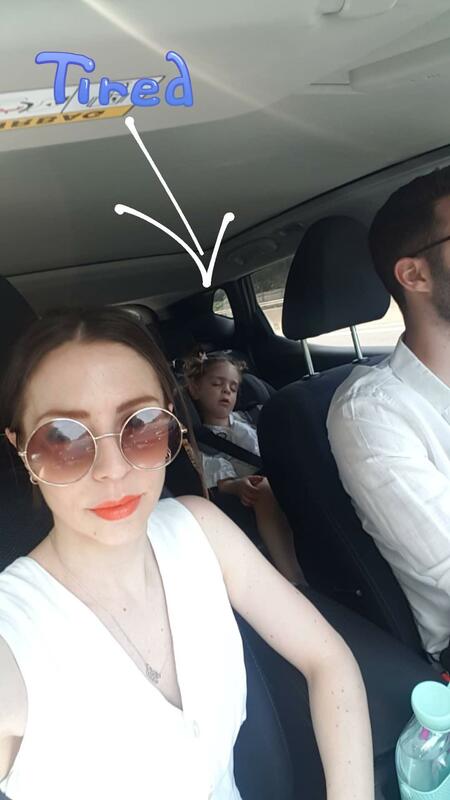 It’s honestly been such a game changer when it comes to travelling or going somewhere where the pram is a bit of a pain. If you are in the market for a sling, this is the one that we would totally recommend. 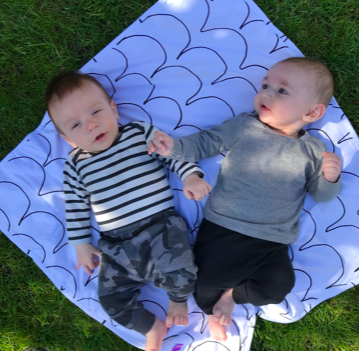 These didn’t come out until our babies were a couple of months old so we usedfabric slings in the beginning, but these can be used from birth. This is something that you won’t think you need but then once you have it, you will wonder how you would live without it. Strap it to the handle of your buggy. 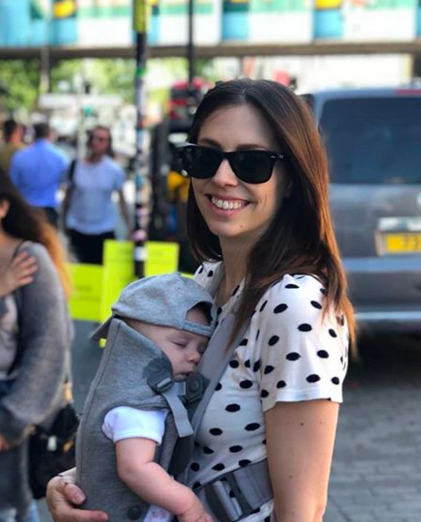 Chuck in your car keys/wallet/muslin/snacks/phone/dummy – anything that you need within easy reach without having to reach into the black hole that is your baby changing bag.